Boa Vista is only 30 km wide, is almost round and mostly deserted, presenting a rich territory with breathtaking views, points of interest, crystal clear white beaches, a calm ocean, a fantastic climate and a serene population that lives its life in peace, away from stress. Do not be fooled by the glow of the sky that your eyes are not accustomed, nor the fresh, oxygen-rich air that the lungs savor memories just leaving the cities: Boavista is much more. 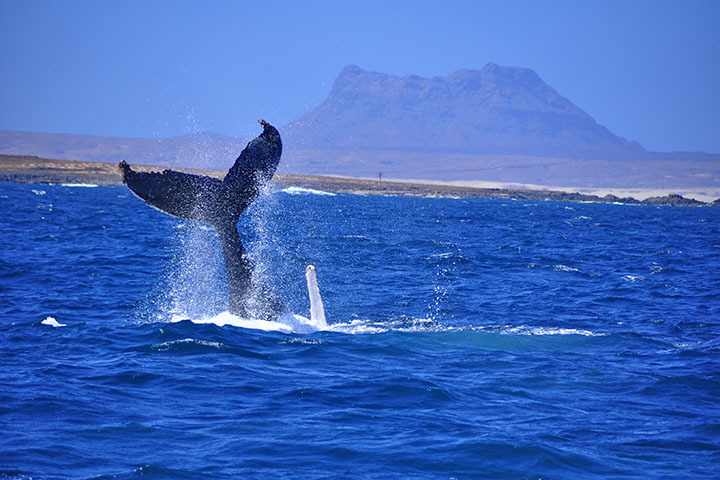 The African wind, the tropical sun and the volcanic soil gave the island a conformation that can be enjoyed even by the most demanding: they expect exciting excursions with total security, relaxing days at the beach or resort and fun evenings. Do not settle for a pool and a cocktail: Boa Vista is to explore! Acquire new flavors of the local gastronomy, rich in fish and vegetables and you will want to dance to the rhythm of Cape Verdean music. While you are surprised to imagine yourself in a fairy tale, you will meet incredible animals in their natural habitat. If you have the luck and confidence to spend time with the locals, you will discover the hospitality and kindness and feel at home. Forget the rush, visit the portal and you will not want to leave. First time in Boa Vista? The Portal allows you to have an overview of what the island offers: beaches, entertainment, local sights. Explore the island on excursions, discover Santa Monica beach and the caves of Varandinha, venture among the sand dunes of the Viana desert and relax in Chaves Bay. Let yourself be moved by a land where nature can be admired without disturbance! You can visit King Sal, the main town, and buy souvenirs, do water sports and sunbathing in total relaxation. You will be tempted to rent a pickup and venture out on the island aware that the phone works everywhere, and if you use a local card, you will also get 3G! Staying in Boa Vista has never been easier! Choose from several types: relax in one of the resorts, ready to welcome you and offer you an all-inclusive vacation, or looking for a more intimate solution in an apartment for rent with a view to the sea and tranquility without leaving the comfort of home. The more adventurous can also decide to camp. The small temperature difference between day and night allows you to leave the house without heavy clothes. After a sunny day, it is normal to feel a little chilly at night, but a light sweater or coat may be enough. On clear nights, you can see all the splendor of the Milky Way, expressing wishes under shooting stars and enjoying unforgettable sunrises and sunsets. Lovers of silence and relaxation will find what they are looking for as well as nature lovers wild and pristine. In the portal you can find the information you need to choose an accommodation, book tours and organize your nights. Boa Vista is a paradise for surfers. But not only: Kite-surfing, Wind-surfing, Snorkelling, diving, swimming, beach, fishing, deep sea fishing are just some of the sports that are practiced every year by thousands of tourists and locals. Beginner classes are available at various schools and hotels. Some professional fishermen rent their own boats for sea trips in search of a “memorable fishing” and accompany you on the venture. Every year the Boavista is marathon setting, the most famous is the Ultramarathon 150 km, from pristine beaches to the desert. In Boavista Oficial can inquire about schools, schedules, prices and regulations. The weather forecasts and webcam give you an overview on the condition of the sea, wind and sky. Also present is the transport of material and detailed staff and shops where you can buy sports equipment. 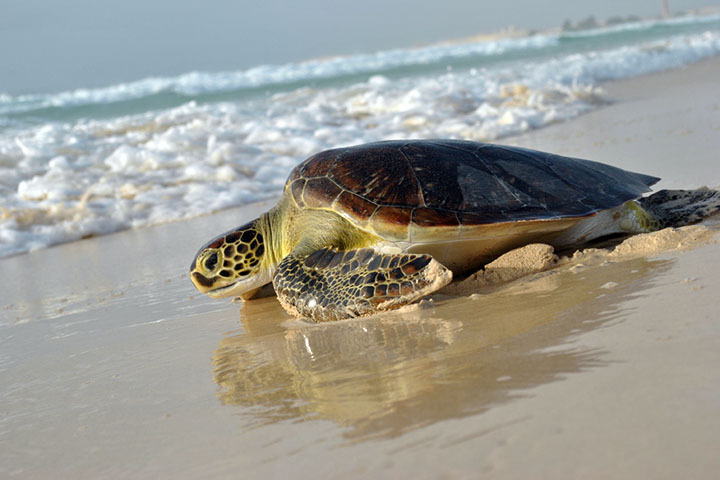 Boa Vista is one of the last paradises, still untouched and protected from invasive tourism. The services on the territory and its location make it unique for those seeking relaxation as well as for those who want to stay close to nature without major hazards. Sunbathing, relaxing, always eating in a different place, adventurous excursions that are memorable are activities for all, adults and children. The hotels equipped beaches are ready to welcome you and offer all kinds of comfort as well as the beach club on the coast and city hotels. Enjoy Cape Verdean cuisine in typical restaurants, or feel at home ordering a pizza or preparing a delicious fresh fish dish. The outdoor excursions and activities will keep you closer to nature and depending on the weather will make you discover breathtaking views, wonderful animals and characteristic points of interest that will become a beautiful memory. In the portal you will find everything you need to fall in love! Those who love nature, know the beauties and dangers that it possesses. Depending on the period, Boa Vista is the destination of nests and migrations. Although it is Africa, the island does not know, scorpions, snakes and venomous animals. Instead, he meets dogs, goats, and donkeys. No cats other than cats. A plethora of rare birds attract bird watchers from around the world, but you can see the eagles and hawks during the excursions. The beaches are frequented by birds and crabs. The ocean is an explosion of colors, fish, dolphins, turtles and whales. And do not worry about sharks: the abundance of fish in these waters keeps them away and there are no real dangers for bathers and fishermen. Get to know on the site all the information you need to observe and fall in love with these animals. In the portal you will be able to learn a lot about Cape Verdean culture. From the time of the slave routes to the declaration of independence, Cape Verde has seen its ten different islands, which are now rooted and mixed, pass through. Creolo, a local population that speaks a language of Portuguese origin, is perfectly integrated with the population of Senegal and Guinea-Bissau. Over 90% of them are Catholics and there are churches and religious buildings throughout the Island. A historical and geographical section is full of details, photos and documents. The crafts are of African origin, but the true Cape Verdean tradition resides in music. Many artists from this country, such as singers, writers and actors, are international and periodically return to their homeland for concerts and concerts. Check the agenda of the island to see if during your vacation there are special events! Find it on the homepage and as a phone and tablet app! The island organizes several events every week and local shop owners and businesses publish their commitments on BoaTime. Recurring events are scheduled several months before their performance. With the phone and tablet application you can join events to your personal list and always have schedules, descriptions and maps with you. Also on the homepage of the portal you can take a look at promotions and discounts, special menus, such as going to see a sporting event that interests you, participating in cultural or religious events, deciding which party to go to and how to spend your evening. 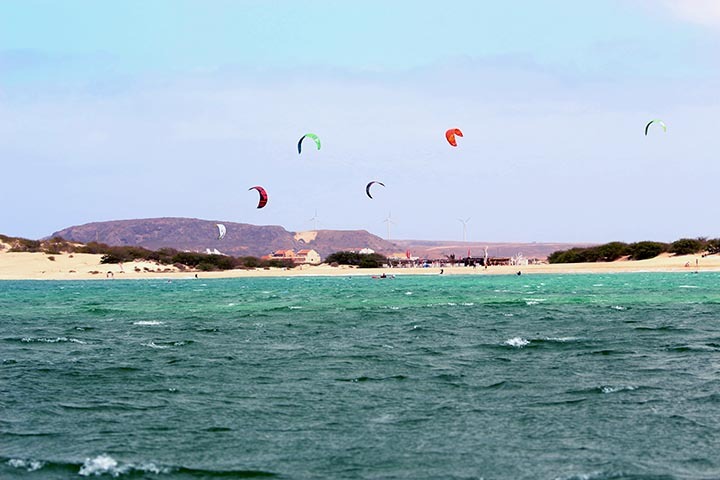 In Boa Vista, there is always something to do!